ACM's case against SABC dismissed with costs - SABC News - Breaking news, special reports, world, business, sport coverage of all South African current events. Africa's news leader. The party earlier said that it will only launch its 2019 election manifesto after the High Court in Johannesburg has heard its case against the SABC. Judge Willem Van Der Linde has dismissed the African Content Movement’s (ACM) case against the SABC with costs. The ACM had brought an urgent application in the High Court in Johannesburg, to compel the SABC to broadcast its manifesto live in Durban on Saturday. The party earlier said that it will only launch its 2019 election manifesto after the High Court in Johannesburg has heard its case against the public broadcaster. 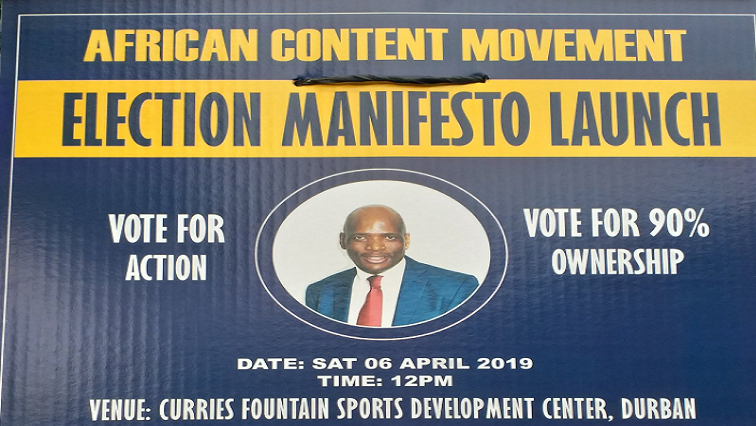 The party, led by former SABC COO Hlaudi Motsoeneng, has demanded that the launch be covered live on SABC 2 as well as the SABC News Channel 404 on DStv. Through their legal representative, Advocate Macgregor Kufa, the ACM said they have the right to express themselves. They say the SABC plans to cover their election manifesto launch as a news story, but they feel some elements of their manifesto might be excluded or even manipulated after the story is edited. The party says because it is a new party, the public has to watch live visuals so they can make an informed decision when going to the polls in May this year.